General Motors has inked a deal with U.S. battery supplier A123 – a deal that well-placed sources say confirms the maker’s plans to put at least one battery-electric vehicle into production by 2014. The maker has a separate deal with LG Chem to produce lithium-ion batteries for its Chevrolet Volt plug-in hybrid. The Korean maker beat out A123 for that contract and is now in the process of setting up a new factory to produce Volt batteries near Grand Rapids, Michigan. Production of the Volt is now ramping up and, along with the similar Opel Ampera, GM hopes to produce as many as 60,000 plug-ins next year. While Kelly declined to comment, GM sources noted that the maker now hopes to expand into a broad range of “electrified” vehicles, from conventional hybrids to plug-ins and pure battery-electric vehicles, or BEVs. The A123 batteries will be utilized for the latter group. Precisely what is in store is unclear, though there could be battery-electric models sold through “multiple brands,” according to sources. The first of the BEVs is expected to reach market by 2014. While a variety of different platforms, large and small, have been under study, it appears the first battery-electric models will be in the small car class and similar to the low-volume demonstration fleets GM has launched in two of the world’s fastest-growing automotive markets. In India, the maker has electrified its compact Chevrolet Beat, while in China it has opted to go with the similarly-sized Sail. 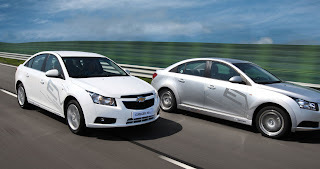 In Korea GM have a test fleet of GM Daewoo based Chevrolet Cruze EVs and GM Daewoo Lacetti Premieres. China, in particular, has been pressing the auto industry to adopt battery power as a way to reduce dependence upon imported oil. 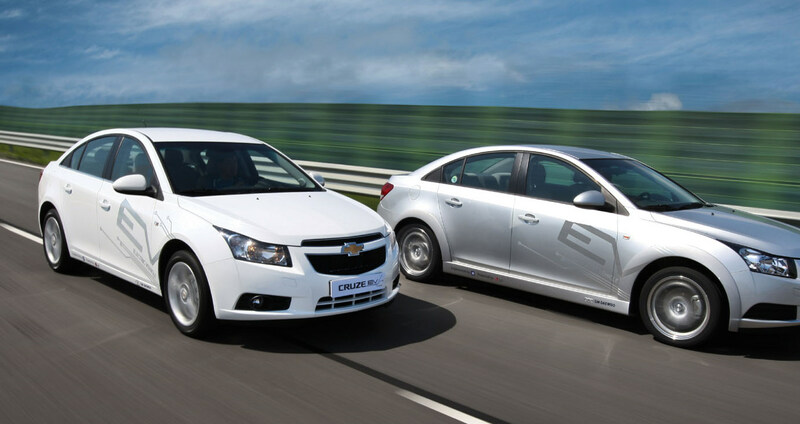 It is likely to be one of several initial markets for the new GM battery cars. GM may also go up-market, suggested another source. Its Cadillac brand has been considering several ways to use battery propulsion, though a plan to develop a luxury version of the Volt was rejected by CEO Dan Akerson who is, however, a corporate cheerleader for alternative propulsion. The decision to go with A123 – which was the first runner-up in the bidding to supply batteries to Volt – reflects the fact that lithium-ion technology is evolving fast. There are about 14 different “families” of lithium chemistry, each with distinctly different properties. Some hold more energy, others store less but permit power to be drawn down more quickly, so some formulations are good for conventional hybrids, while others work better for battery-electric applications. The latest version of the A123 nanophosphate chemistry appears particularly well-suited to pure battery-electric vehicles, several GM sources explained. It has a higher energy density – a measure of how much power can be stored in a given mass. And more of the potential capacity of the battery can be used. With the batteries in the Volt, only about 60% of the total 16 kilowatt-hours of capacity are actually used, day-to-day. With the A123 pack that might top 70% or higher – which means fewer batteries are needed. And with lithium batteries running well north of $500 a kWH, that translates into significant savings. Perhaps equally important, the A123 packaging is more flexible than LG Chem’s, which makes it easier to squeeze a lot of batteries into the nooks and crannies of a small car, rather than the large, T-shaped pack used in the Volt. With the planned 2014 launch of its first pure batter car GM will enter into an increasingly crowded market. Nissan launched the first mass market battery car, the Leaf, late last year, shortly after followed by Ford’s Transit Connect Electric. Ford will begin a phased roll-out of its Focus Electric later in 2011, with Toyota, Mitsubishi, Honda and Nissan’s Infiniti among the many major other brands getting into BEV production. Meanwhile, start-up Tesla is one of many automotive wannabes also entering the fray, its Model S sedan due to market next year. Both LG Chem and A123 are vying to supply those carmakers – as are a variety of other battery producers. The batteries for the GM BEVs will be produced at a plant in Livonia, a suburb of Detroit, where A123 already employs 775 people, a workforce expected to rapidly grow as a result of the new contract.